The Optigan is a tiny plastic keyboard produced by Mattel between 1970 and 1975 that uses discs, full of chords from instruments that range from big band to classical guitar, to play back sounds based on keys. It was known for it’s weird tonal quality and relatively cheap discs that caused for a whole mess of trouble on the consumer market. In the ‘90s, multi-instrumentalist and singer Rob Crow and producer/keyboardist Pea Hicks used this ill-fated device to create records under the name “Optiganally Yours,” benefitting from Crow’s unique vocals and talented production from Hicks, who eventually grew to become the authority on the Optigan. Now, 21 years after the release of their first album, the project has been reborn through Joyful Noise’s Artist in Residence series spotlighting Rob Crow in the form of “O.Y. In Hi-Fi.” This album is so light, upbeat and fresh that it’s hard to believe it’s creation was informed (and created in-turn by) production discs of an almost 50-year old plastic keyboard. It goes without saying that this release from the team is a more mature and well-rounded album than previous Optiganally Yours endeavors, shaped by years of musical practice on Crow and Hicks’ parts. It’s current, and bright sounding (courtesy the natural tone of the Optigan) but still masterfully crafted in a way that only seasoned professionals could. Shining, repeating chords drive tracks highlighted by playful and light guitarwork from Crow like “Whomever Watches You Sleep,” a favorite that stuck with me well past my time listening to the record. “Night Shop” is another stand out track here, beginning as a normal sounding guitar-led, introspective jam that evolves with a light and airy tropical instrumentation that undercuts and contrasts with the darker lyrics present -- a theme that persists with the album. Crow’s writing shines here as well as his vocals with lyrics full of imagery and narrative on most tracks specifically “Martin (midori2tree)” and “Hope in Your Eyes,” the latter of which drifts from the violence of nature (“And in the darkness roaches climb the walls/Albino rats with blazing eyes/Concede defeat and then devour their young”) to a beautiful proclamation of resolution (“Holding your breath/While taking the waves in stride./Give up on this./Give up on them”). Other songs like “Lemons and Tacos” and “This Heart” are more simple in lyrical nature, but still work as effective tracks because of how they’re executed. “O.Y.nisqatsi,” too benefits from the sheer diversity of sounds offered from the Optigan recordings, building up and up with tense, pained strings until releasing with a powerful drum and organ combination giving an otherworldly, orchestral masterpiece that demands attention. It’s not going to be for everyone, but “O.Y. In Hi-Fi” is one of the most delightful and unique albums I’ve had the pleasure of listening to, much less reviewing -- capitalizing on the skill and powerful range of Crow’s voice as well as the production and reservoir of Optigan sounds from Hicks to create a brilliantly broad series of tracks that will stick with you when you need them most. 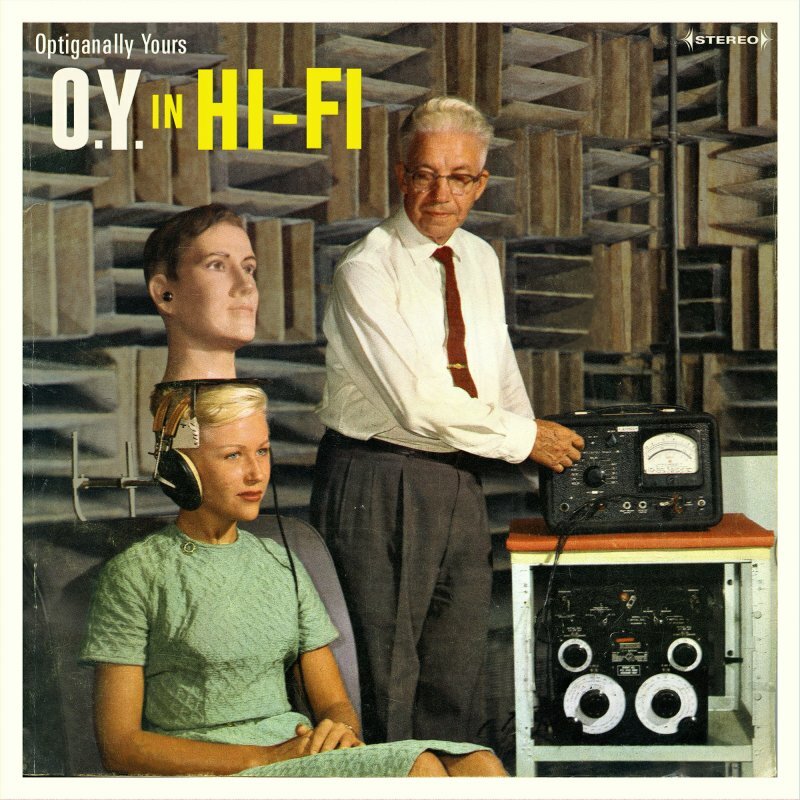 “O.Y. In Hi-Fi” is the first in Rob Crow’s Joyful Noise’s Artist in Residence Series for this year, with more coming on the 15th of every month from now until November and is available on their website as a physical set or for digital download. For more information on the optigan, check out optigan.com.